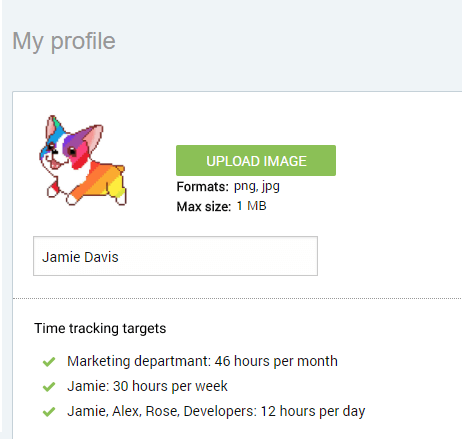 Set up time tracking targets for your team and they will be automatically reminded to log their hours if they did not fill out their minimum number of hours. Targets and reminders is an extra feature, which you can enable by upgrading your workspace. You can add multiple reminders for one user or user group (e.g. 7h per day minimum, but 40h per week and 150h per month). Allocate your team to User groups so you can choose several people at once instead of selecting them one by one. To edit a reminder simply click on the underlined section (users, hours, etc.) to edit it. 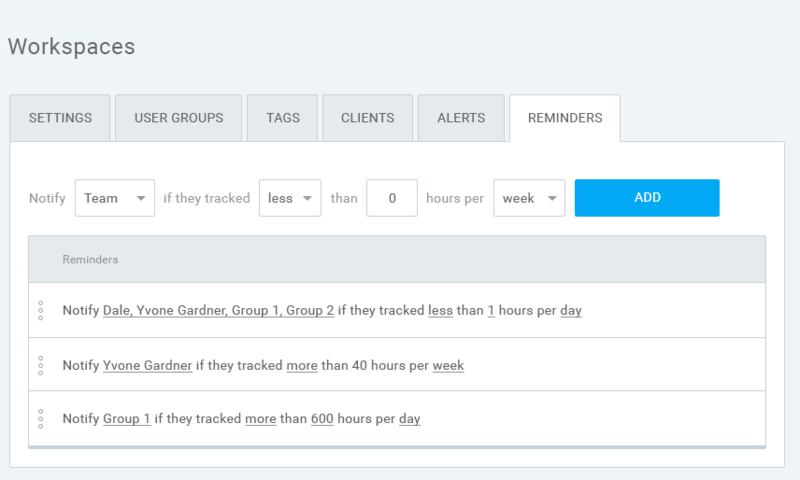 Workspace admins can see all active targets in workspace’s Reminders tab. Only admins can create or delete reminders. All users can view their assigned targets in their User settings.